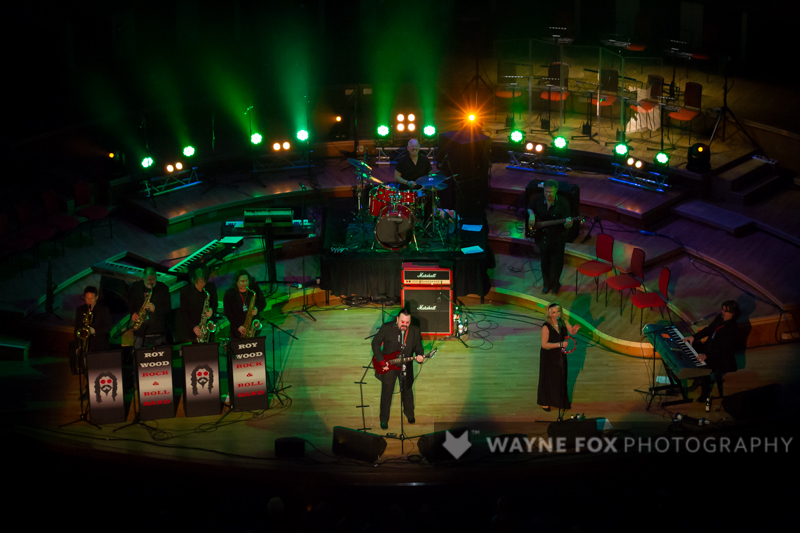 There’s nothing like a bit of old skool glam rock to get you in the mood for Christmas… Roy Wood is aiming to make this event at Birmingham’s Symphony Hall an annual event, like a brummy variety performance, I’m loving a bit of retro talent to kick off the festivities. 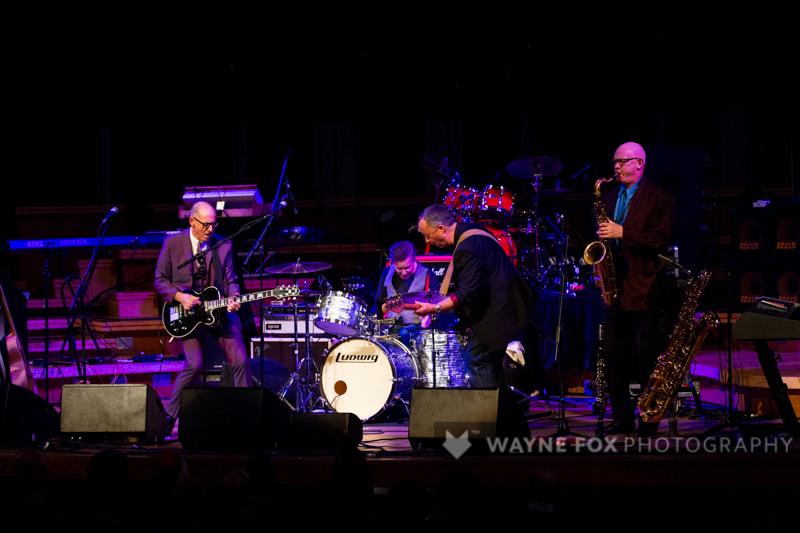 Andy Fairweather Low And The Low Riders are first up with some perennial classics from the 1960’s era. 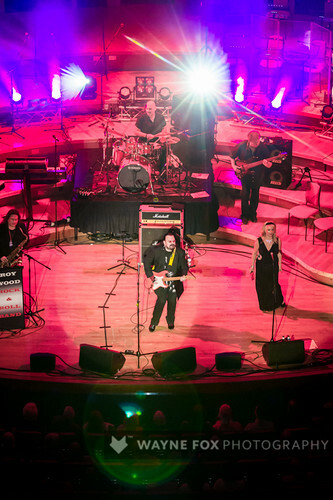 Fairweather has backed the likes of Eric Clapton and Roger Waters, and despite calling himself a grumpy old bloke there’s more than a touch of swagger to accompany his Dwain Eddie Esque riffs. A nice start to the evening. Next on the bill is a little light comedy from veteran Mick Miller. I thought I’d seen him before, and this is confirmed by a quick trip to YouTube, where he can be seen performing on 2011’s Royal Variety Performance. I feel spoilt tonight – as the quality of gags is certainly fit for a queen. I’m in bits for most of the set, especially when he tells us in a hushed deadpan that they only kept him on at the circus because he was the only one who could get the tent in the bag. 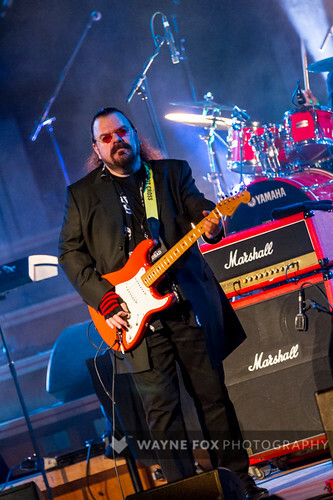 Tonight’s headliner is next up, with his trademark beard and pink glasses, Roy Wood certainly is one of our much loved, and less widely celebrated brummy heroes. A prolific song writer, and band member for not only Wizzard, but also the 60’s Move and ELO. 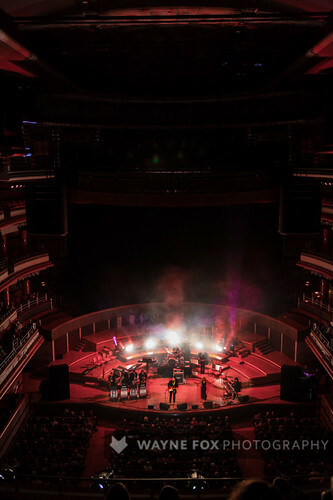 Wood described himself recently as a songwriter foremost (in a 2013 interview for 6music). The quality of his back catalogue is further enhanced by his crystal clear clear singing voice untainted despite the passage of over 40 years. 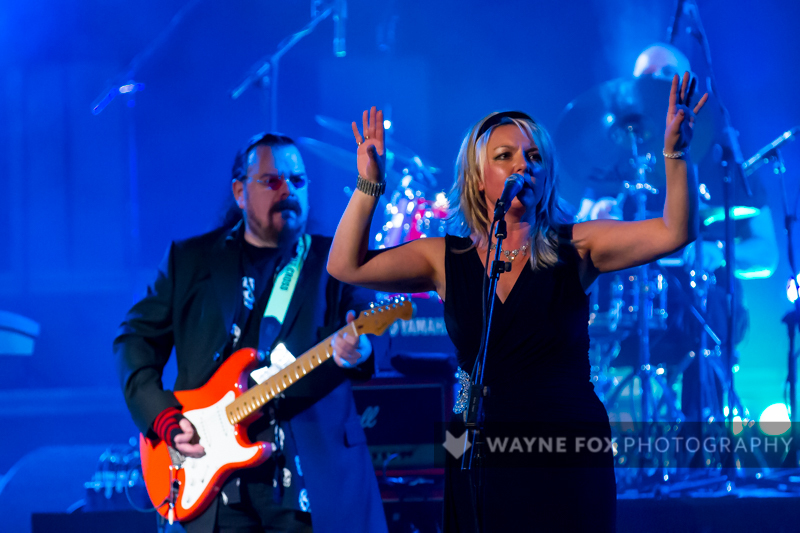 I find myself singing and jigging along to hits such as ‘Fire Brigade’, ‘Baby Love’ and ‘Blackberry Way’. But there’s more to come with an appearance by Rick Wakeman and his son (who incidentally has been backing another Brummy favourite Ozzy Osbourne). 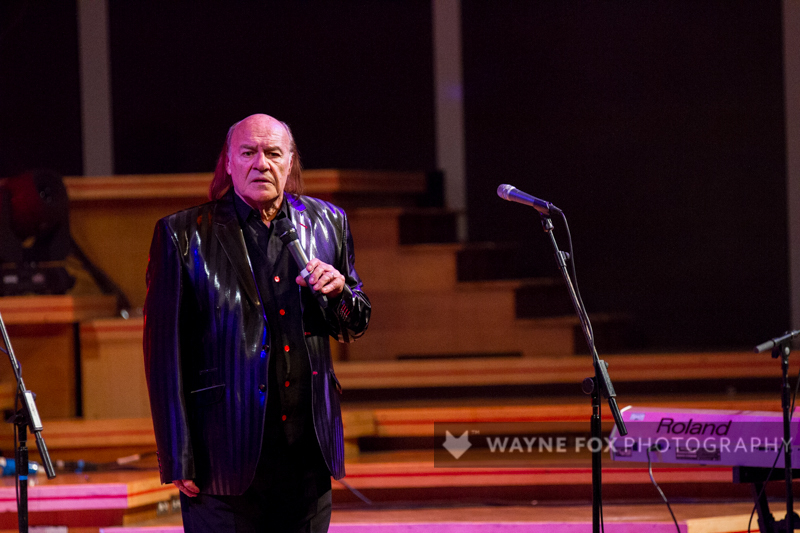 Wakeman, who had more than a touch of the ‘Wizard’ about himself back in the day, now cuts a gruff if humorous presence, with some nice little anecdotes, particularly how he arranged the piano for Cat Steven’s ‘Morning has broken’ he still refuses to let anyone including Cat into the secrets of his composition. 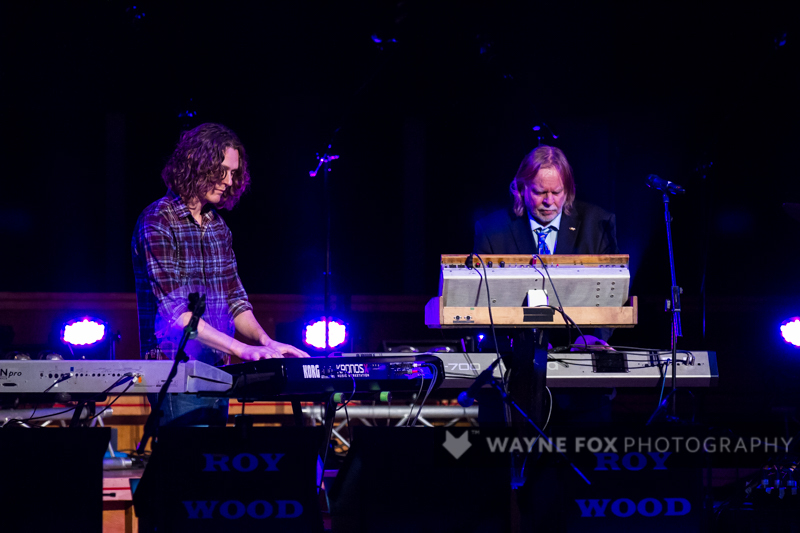 Wakeman’s persona certainly seems in direct contrast to his playing which is virtuoso, and it looks like his son is somewhat similarly blessed. They perform a rousing rendition of The Beatles classic ‘Eleanor Rigby’. Later there is a surprising performance by Emily Beckett, a 14-year old soprano opera singer. She performs a beautiful version of the theme from the godfather. 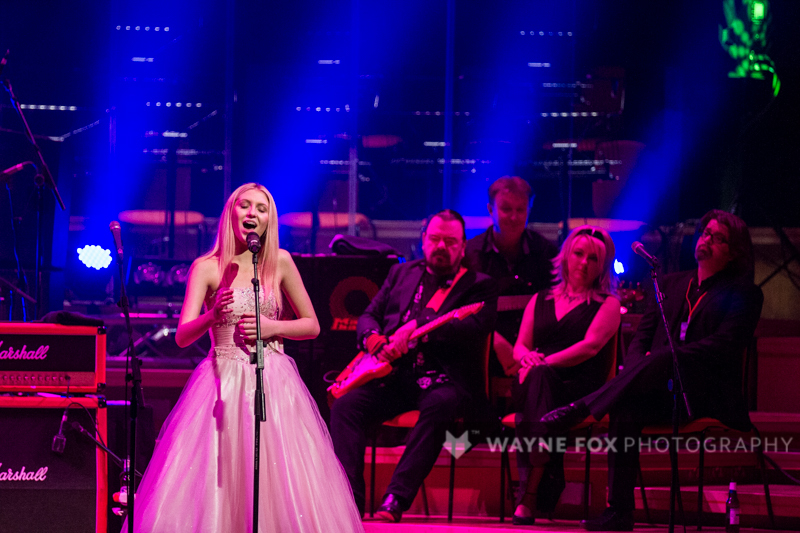 Although an unexpected addition to the evening, she receives probably one of the biggest ovations of the evening. 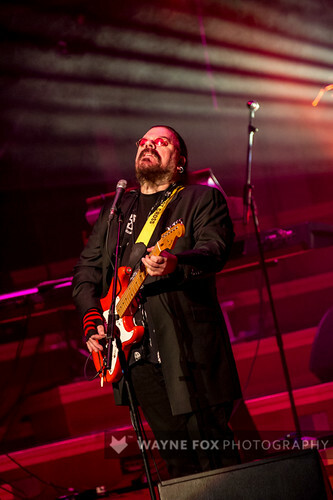 The night is brought to a crescendo with Roy Wood accompanied by his choir singing his popular Christmas classic “I wish it could be Christmas”. It’s a little known fact that Wood’s festive tune was only released a few short week’s after Slade’s chart topping ‘Merry Christmas everybody’. Might Wood’s Christmas offering have been no.1 if things had been different? We’ll never know, but what we do know is that glam rock era of the 70’s was the perfect boiling pot for a cracker of a Christmas classic. 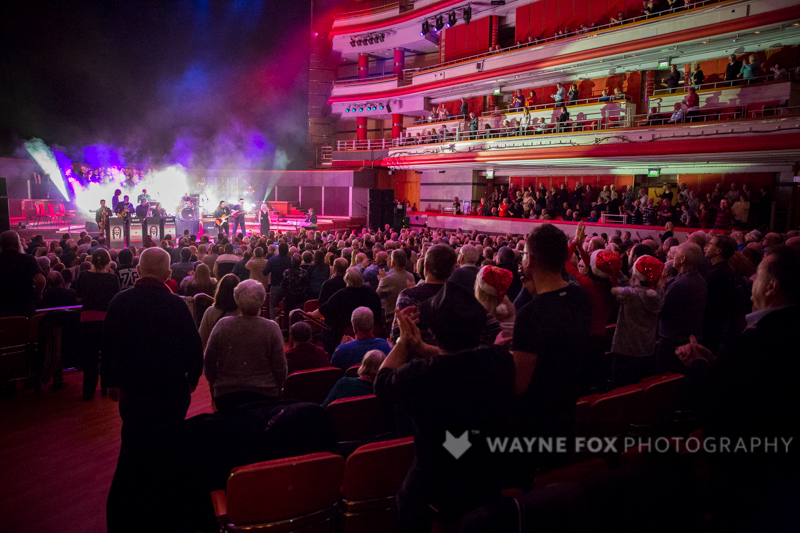 It’s fantastic to see so many of Wood’s fans up on their feet, adorned in glam rock sequin Santa hats, and their hands held aloft, to the truly festive sound of Christmas.